US health officials have issued a blunt warning for people to avoid Honey Smacks, a popular breakfast cereal linked to a salmonella outbreak. 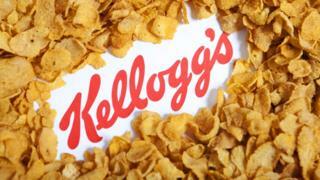 The Centers for Disease Control and Prevention (CDC) urged consumers: "Do not eat this cereal." More than a million packets of the product were recalled by the manufacturer Kellogg's in June after 100 people were infected in 33 states. The cereal is the likely source of the salmonella outbreak, the CDC said. Salmonella infections can cause illness, or death in rare cases. No deaths have been reported in the latest outbreak. "Even if some of the cereal has been eaten and no one got sick, throw the rest of it away or return it for a refund," the CDC said in a statement on its website. "Do not eat any Kellogg's Honey Smacks cereal, regardless of package size or best-by date," it said. The statement said salmonella strains had been found in both unopened and leftover samples of Honey Smacks at several locations.